Everything is better with bacon. 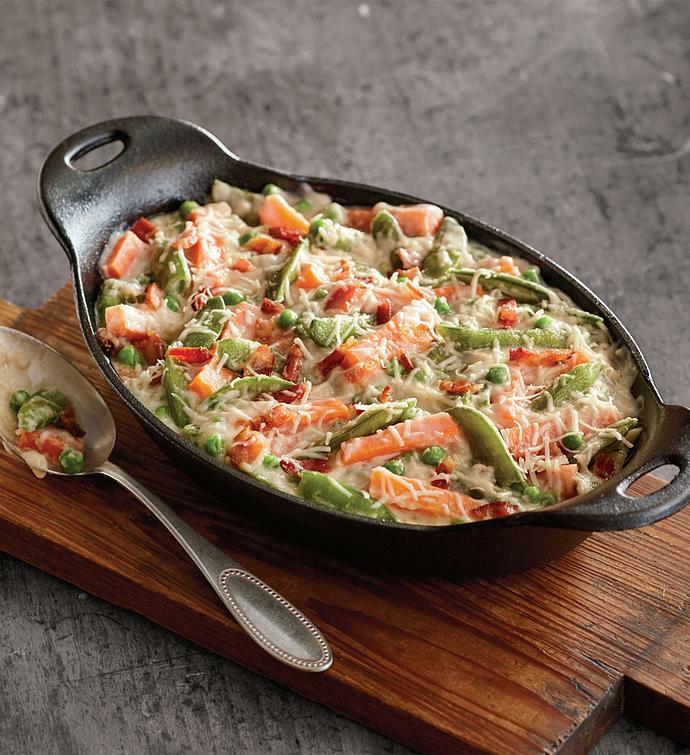 This flavorful dish combines the natural sweetness of fresh snap peas and carrots with the irresistible goodness of Parmesan-bacon cream sauce. A winning addition to any dinner occasion, this bold side dish arrives ready to heat and serve.